HOG ROAST ROTISSERIES There are 3 products. Selection of commercial electric or gas hog roast machines that can be used indoor venues, weddings. Great prices with 12 months warranty included. Free delivery and finance available. 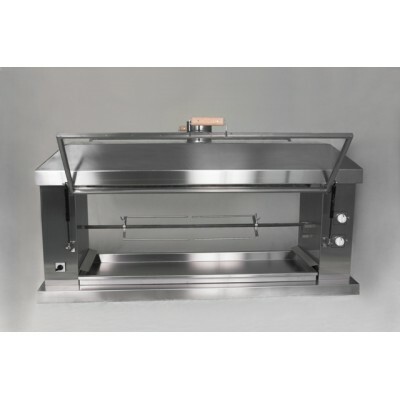 Gas Hog Rost Rotisserie is design to be used for out door venues, mobile catering vans or commercial kitchen. 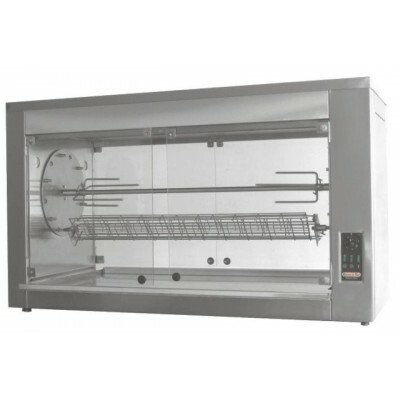 Ideal for indoor and outdoor venues, carvery restaurant, take away shops. With tempered glass door, back wall and internal light makes great visual presentation of roasting product for your clients. One middle spit it is design to roast whole piglet up to 60kg or 48 chickens on the side spits. Middle spit length 1080mm.